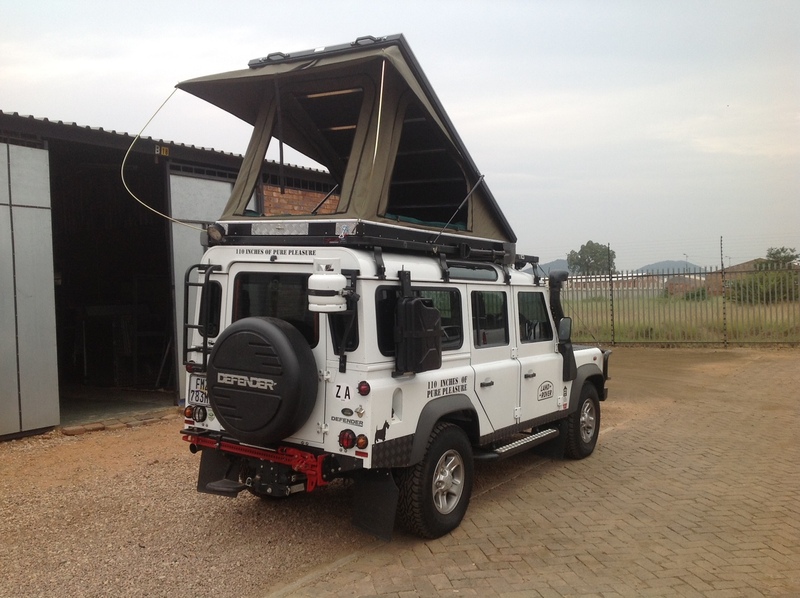 Our "Hard Shell Roof Tents" have a mainly aluminium outer casing which is light in weight and offers great strength and durability. The tent opens on gas assisted springs which means there is virtually no set up time. 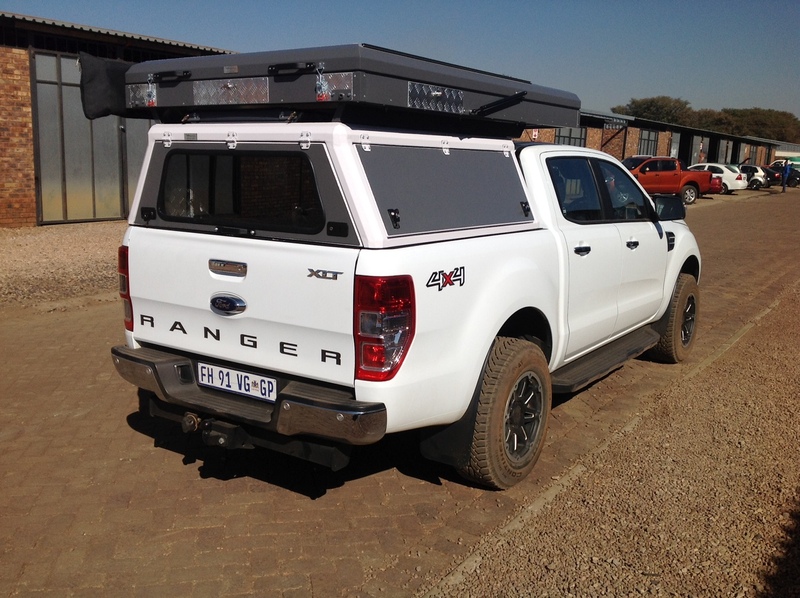 The tent also comes with an aluminium ladder that is free standing offering useful access to anywhere around the tent or roof of your vehicle. The ladder can be stored on the inside of the roof tent when it is closed. The canvas part of the tent is manufacured 'in house' by our experienced canvas department. The canvas part of the hard shell tent is made from high quality 400 gram rip-stop canvas and any opening parts always come complete with double sided heavy duty zips as well as built in mosquito nets. 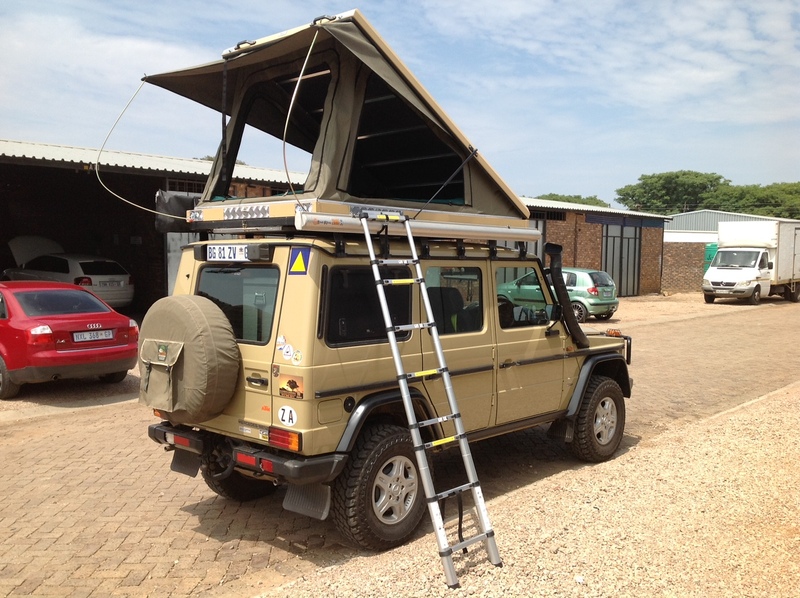 As standard with our hard shell roof top tents we supply an upholstered 75mm high foam mattress. 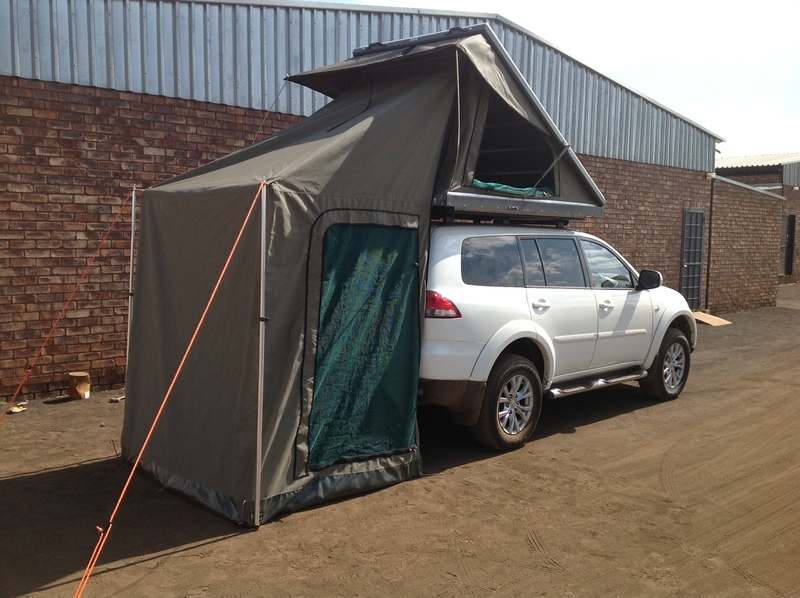 The standard size of our Hard shell roof tent is 2.2m (L) x 1.4m (W). We are however able to alter these dimenions should the customer require us too. 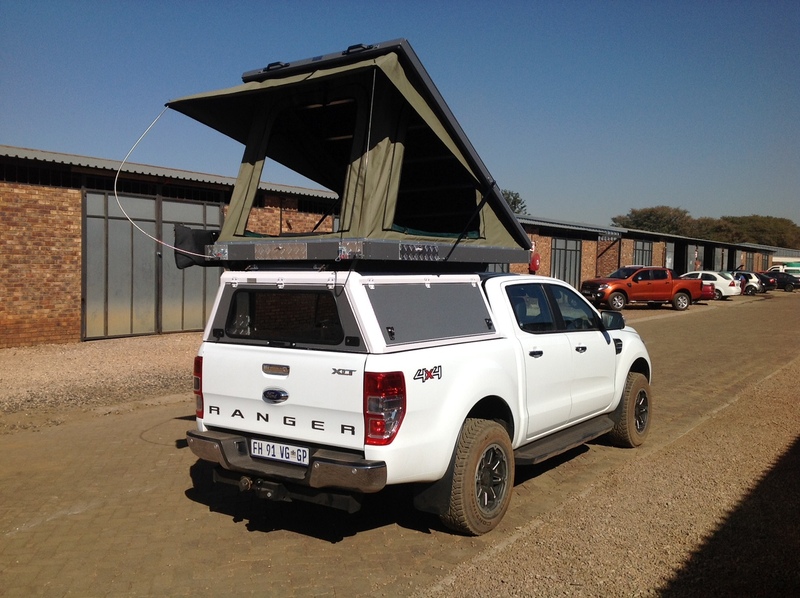 The Hard shell roof tent can be fitted to most types of 4x4's and trailers. We now also offer 3 different types of "Add a rooms" for our hard shell tents. 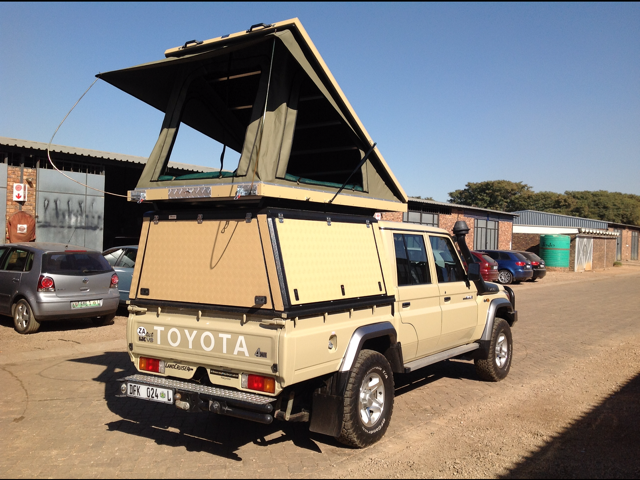 If you require any further information on our "Hard Shell Roof Tents" or the "Add a rooms" then please do not hesitate to contact us.